This quilt came about after playing with trimming common blocks (in this case nine-patches) and seeing what kinds of designs they created. 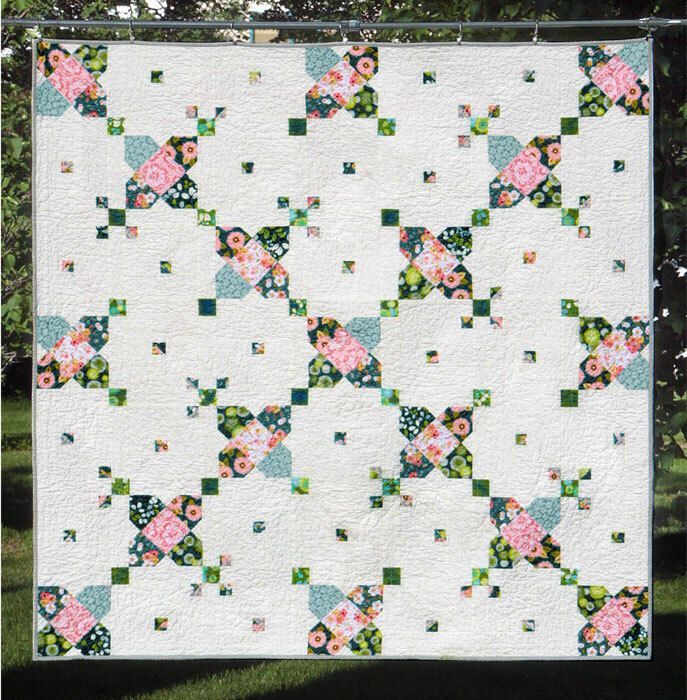 I wanted to create a quilt where you only had to sew the most basic block, trim it, reassemble the pieces, and have a complex-looking quilt. I love this one because the layout and design kind of look like a cross-stitch pattern.